It is a well-known fact that the Edwardian lady did not drink whiskey –or, for some strange reason, other dark colored alcoholic drinks like port, brandy, beer or stout. It was considered unfeminine and ‘low’. 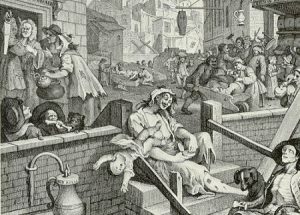 Working class women drank gin –poor desparte things. 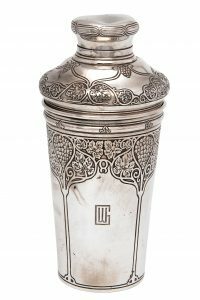 Sloe gin was a cheap and effective way to deaden the drudgery and desperation of poverty, long before the 1900s. 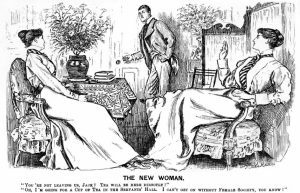 Understandably gin was often referred to as mother’s ruin. 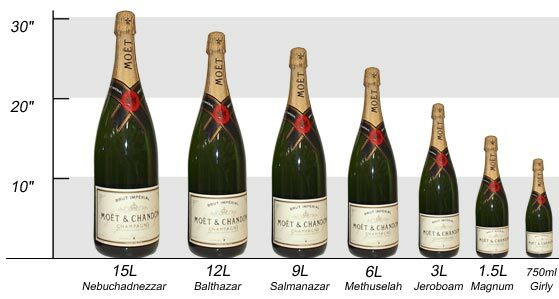 But women from the upper class certainly drank, and had the opportunity to drink a lot: as long as they didn’t slur their words, shriek with laughter or fall flat on their faces. But what did they sip as they sat in their drawing rooms and gardens, whiling away the hours between tea and dinner? Sherry! 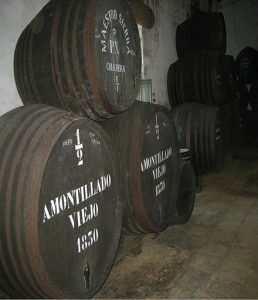 A fortified wine made in Jerez in Spain was immensely popular especially among the English. They consumed barrels of it in all its many different types: Fino, Manzanilla, Olorosso, Amontillado –such romantic sounding names and at 17% alcohol such a powerful little wine. The English were besotted with their sherry, they put it in everything: cakes, trifle and whipped cream. But in the early 1900s champagne was the drink of choice for the well-heeled and the well-to-do. Champagne glasses clinked merrily throughout the early decades -the greatest fear during WW1 was that there would not be enough to last. The younger set, however, were a little more adventurous. 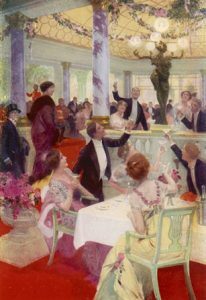 With the arrival in London of the flamboyant Ballet Russe in the coronation year of 1911 it became very fashionable to drink vodka. Nursing a stubby little glass of chilled vodka as you nibbled toast and caviar was considered to be very avant garde, and of course the best thing about it was that it was a clear liquid, so quite acceptable to the conventionally conscious. Nobody said anything about drinking green alcohol! 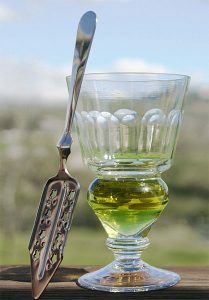 Absinthe was another favorite among the more bohemian: Iris Tree (daughter of the famous actor director Sir Beerbohm Tree) and Nancy Cunard (daughter of the more famous Lady Cunard) loved to tipple the Green Fairy –of course they were probably quite unaware that too much of this innocent anisette caused blindness. Cocktail anyone? Yes there were a few around at this time –mostly in America. 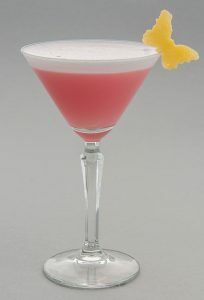 The Pink Lady –which looks awfully pretty, but doesn’t particularly appeal to me, is made of gin, grenadine and a beaten egg white –designed entirely for female consumption! Which brings me to the martini. The exact origin of the martini is unclear. 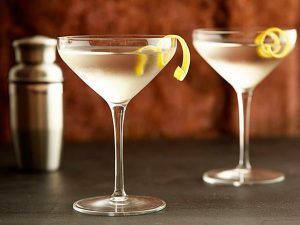 In 1863, an Italian vermouth maker started marketing their product under the brand name of Martini. 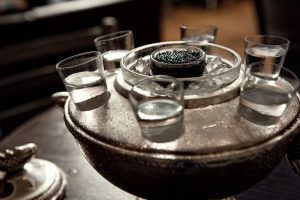 Another popular theory suggests it evolved from a cocktail called the Martinez served sometime in the early 1860s at the Occidental Hotel in San Francisco. A Martinez was first described in Jerry Thomas’ 1887 edition of his Bartender’s Guide: How to Mix All Kinds of Plain and Fancy Drinks. 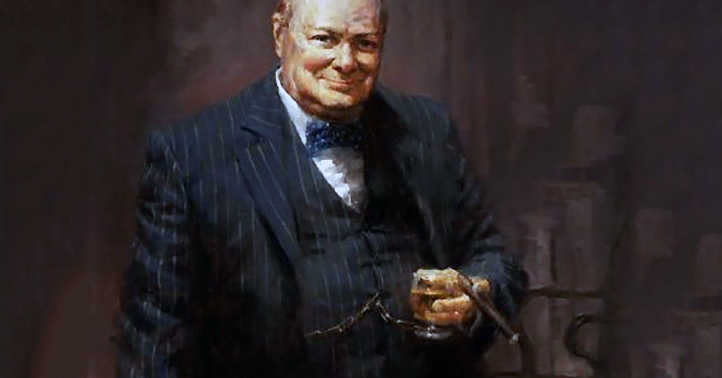 My favorite martini quote comes from that world famous imbiber of anything alcoholic Winston Churchill, who insisted his valet put out a bottle of Pol Roger in an ice bucket next to his bed every night so he could enjoy one more night cap as he read before going to sleep. About the number of martinis one should indulge in he said this: “Martinis are like breasts, one is not enough and three are too many!” But somehow I can’t imagine that Winston restricted himself to just two of anything.